I stumbled across the footsteps of Leonardo da Vinci on a recent trip to Cyprus. Apparently, Leo and I both have a soft spot for a good piece of cloth. 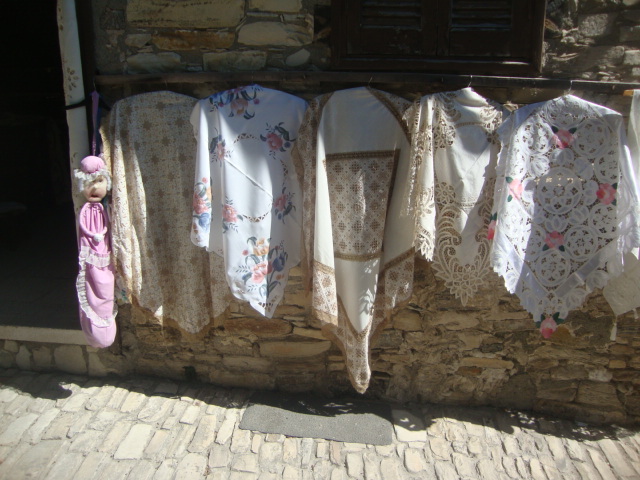 So goes the story from the village of Lefkara, world-renown for its hand-made lace, where in 1481 Leonardo is reputed to have purchased an embroidered altar cloth for Milan’s Duomo. 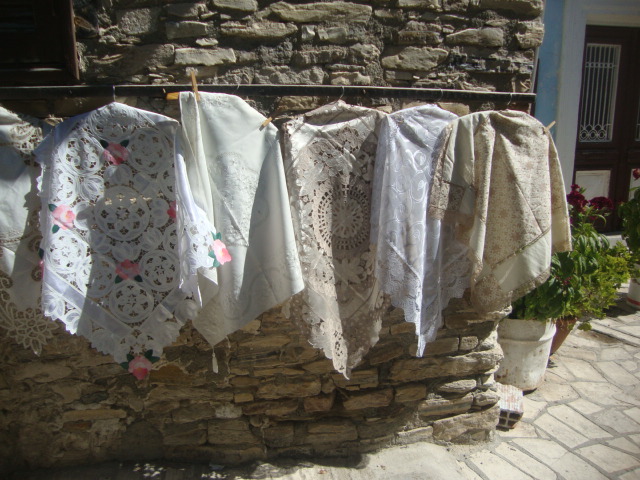 Although historical sources cannot definitively place Leonardo on the island, the link is sufficient enough for the Cyprus postal service to have issued a commemorative set of stamps in 1981 upon the 500th anniversary of his presumed trip, and three lace makers from Lefkara worked full-time for six months on a new altar cloth, which was presented to the Duomo in honor of its 600th anniversary in 1986. 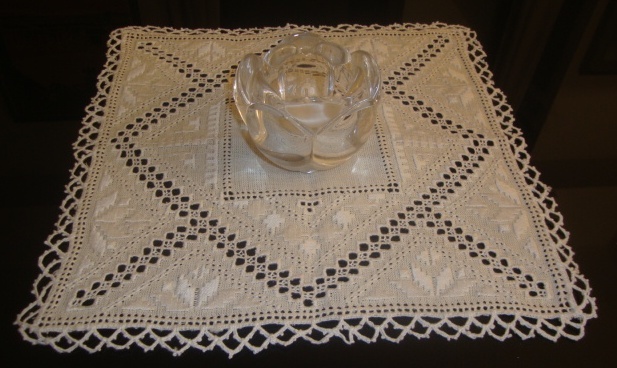 But the link between Leonardo and Lefkara, whose lace was recognized in 2009 as part of the Intangible Cultural Heritage of Humanity by UNESCO, is real enough. The style of embroidery that he presumably took back to Milan has long been known in Lefkara as the ‘Leonardo da Vinci design’, a design that appears in the table cloth of The Last Supper, the world-famous fresco adorning Milan’s Church of Santa Maria delle Grazie. Andri Hadjiadamou, who represents the last generation of Lefkara’s lace makers, proudly told me these stories, and while there is no reason to doubt the influence of Lefkara, she shrugged her shoulders, admitting, ‘The connection is real but who influenced whom. Who knows?’ The answer to that question soon became clear – her stories soon persuaded me to purchase my own piece of da Vinci lace, which now adorns yet another table in Milan. The 500th anniversary of this author’s trip to Cyprus is set for 2512.